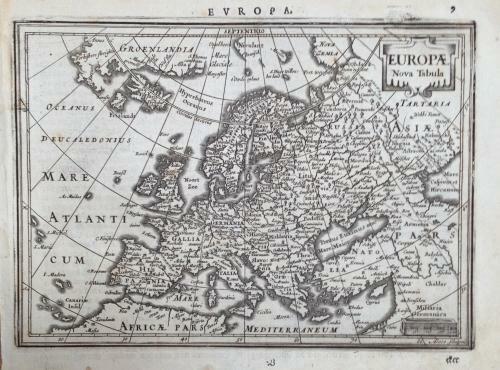 This 1630 edition of the ATLAS MINOR is from the second series of pocket-size Mercator maps published by Jan Jansson beginning in 1628. The plates were executed by two of Holland´s finest engravers, Abraham Goss and Pieter van der Keere. In excellent condition, with some minor margin age related toning.